Working with Paige and Pierre was a pleasure. 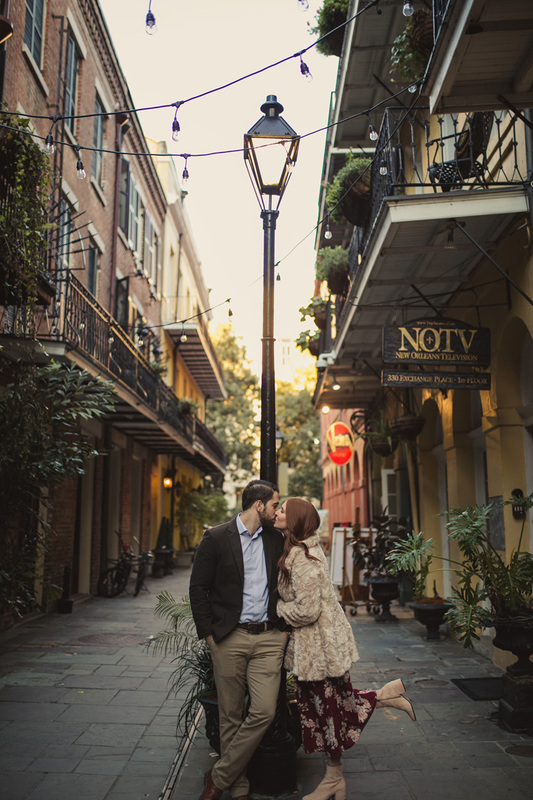 For their New Orleans Engagement Photography Session, we started at Bevolo Gas, a nice little spot with gas lanterns and a private courtyard. Paige was looking chic in her fur coat. Next we headed to the French Quarter, capturing the filmic beauty of Royal Street. Our couple takes a leisurely stroll. While on Royal, we climbed to the observation deck on the roof of the Omni Hotel, and grabbed some wonderful shots overlooking the city approaching golden hour. Our session ended where most nights begin in New Orleans– at a bar around the corner, toasting cocktails.